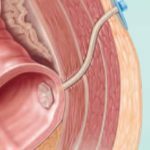 *When device is placed appropriately and seal is established to keep bowel contents out of fistula tract. Move beyond to an alternative treatment option. to assist the patient’s body in closing the tract on its own. 4 or 7 mm diameter and 18 cm length fit most fistula tracts. 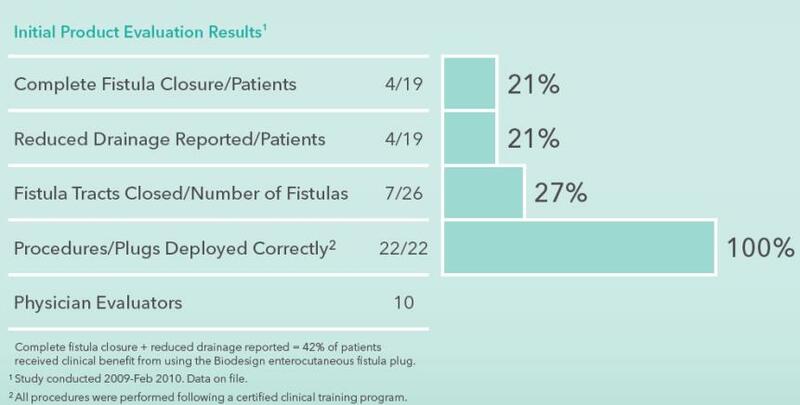 Initial evaluation has shown that 42% of patients received clinical benefit from placement of the Biodesign enterocutaneous fistula plug.